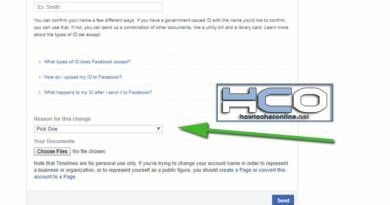 You can learn more about Facebook usage here and you will able to fix your problems with our tips. WhatsApp is Asking Me to Wait 7 or 13 Hours! What’s Wrong? There are several complaints about WhatsApp on Play Store that application is asking people to wait 7 or 13 hours. WhatsApp Account is Hacked, How to Recover It? Phone Number Suspended on WhatsApp, How to Fix? You can learn how to use WeChat and how to get rid of errors, problems and bugs with tips of How to Chat Online. You can get tips about usage of random chat sites and learn usage of them on here. Learn more about Omegle, get recent news about the website and learn more about the usage of the game. Get recent news and tips from chat sites about online chatting on here. You will also find tips for chatting with people on here. Learn more about skype with How to Chat Online tips and get information on how to meet people from specific countries. How to Chat Online provides information on how to meet with people on Twitter. We also give information on how to use this website. How to Chat Online is a tutorial website that you can find several information on instant messaging applications (like WeChat, WhatsApp, Telegram, Hangouts, Facebook Messenger, Skype, etc. ), online chat websites, social networking platforms (like Facebook and Twitter), random chat websites and dating websites. You don’t need to register to How to Chat Online for getting those knowledge. You can use the world largest knowledge database free.